Welcome to the classic Kiwi summer getaway. 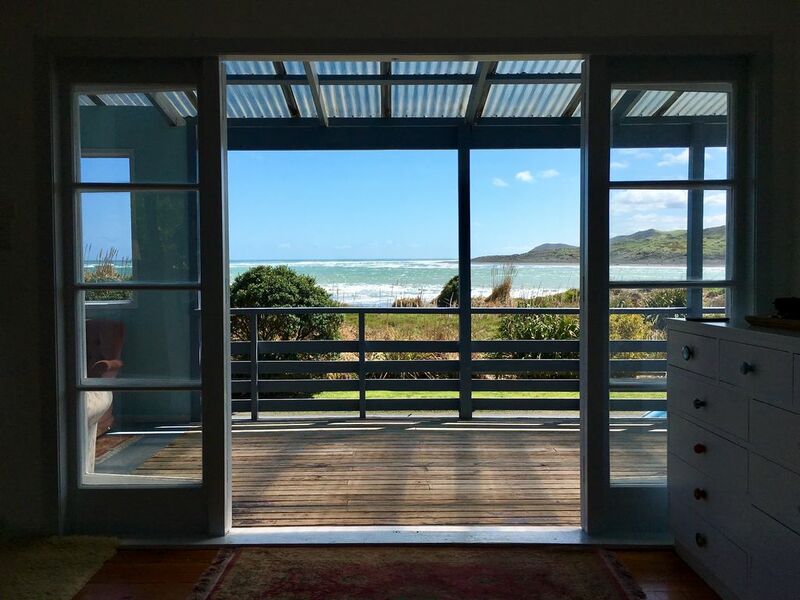 This Bach is situated up off the road so you can capture all the surrounding sea views. You are just across the road from the ocean so you have that added surround sound of the ocean breaking. Just minutes walk to the beach you can enjoy those classic days for spending time on the beach whether it be beautiful evening walks or picnics or just a great day at the beach swimming in the summer. There is the popular Kite-surfing and Mountain bike tracks that are just minutes from your door for those keen on adventures. There is also SUP (stand up paddle boarding), Kayaks to rent in the harbor and fishing nearby. With just minutes up the road for those surfing enthusiasts there is the famous Manu bay with its awesome left hand break. For those interested in walks there is the Te Toto gorge for its stunning views of the ocean expanse and Mount Karioi, with a short drive there is also Bridal Veil Falls. There is a large covered deck for you to enjoy those relaxing days where you can catch up on that much needed time out and maybe catch up on some reading. The view from the deck is stunning and is a great place to have dinner and a favorite wine with friends and family and just soak up the surroundings. There is something so peaceful and healing about being so near to the sea. Upstairs in the larger bedroom there is also your own separate lounge area where you can get to have time out to read and enjoy the view. We had a wonderful evening at this lovely Bach with an amazing view. Very spacious , neat and tidy in a quiet road. Lovely spot on the balcony. Amazing pet and child friendly bach in front of the beach! Our family's stay was absolutely perfect - the cottage was more than big enough for mom, dad, granny and the twins and Tara, our dog. The beach walks, sunsets and verandah lunches were amazing. We enjoyed every minute and can't wait to come back!